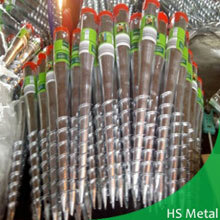 HS Metal Product is a company having factories of steel post anchors and post supports in China. We are in the business since 2001. The post supports we manufacture are exported to overseas market including UK, Germany, Spain, Italy, India, Australia, New Zealand, Canada, USA etc. We manufacture a variety of post anchors, post supports and post bases. We are a driving force in the industry as our products are of the best quality and conform to the International Standards. Our research and development team always strives to make the designs which can increase the longevity of the products and bear all the stress without any difficulty. We began to manufacture and export post supports for users worldwide in 2001. 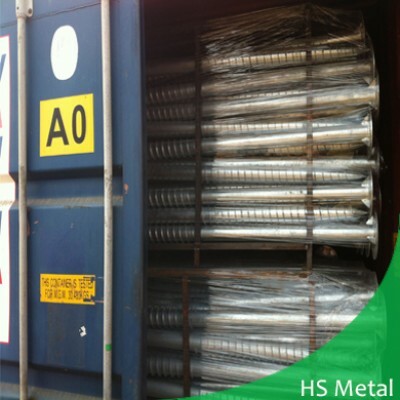 We supply an attractive range of competitively priced metal products for professional and DIY projects. Most of our products are produced as per drawings and are either hot dip galvanized or powder coated to safeguard from corrosion and rusting. Some of our products and their specifications are mentioned below. Post anchors are widely used on construction sites to fasten barrier, fence, pergolas, tent, shelters etc to protect posts from corrosion. It can also serve as the foundation of light and temporary construction on sites, utility, greenhouse etc. with features of easy operation, wide application and sustainable usage. Ground screw, also named as screw pile, is used as modern construction foundation –with no excavation and no concrete instead it is cost-effective, time saving and is highly durable. It can be drilled into the ground keeping the surroundings untouched. 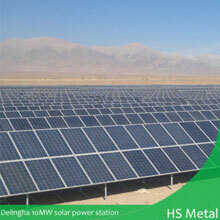 It is mostly used for solar power system, house buildings etc. Post support is a type of metal support used for wooden construction or steel post. Its shape varies according to the needs. There are, for example, post supports with L type, T type, U type, H type. They are hot dip galvanized or powder coated to protect from decay. Post spike is a metal spike with its sharp end buried underground as base. It offers a strong anchor for timber posts. Fence post spike is designed to erect timber post for garden construction. The four fins of fence post spike is made conical at the end which enables it to insert into normal ground without digging. Adjustable post anchors’ height can be adjusted even after installation. Total height can be varied according to the requirement. Width can also be adjusted as per the design. Adjustable post support is manually adjusted with nails, screws, etc. Post base is ideal for use if installing posts into concrete or hard surface areas. It is suitable to use with canopy, decks, fence posts, pergolas, etc. There are steel post bases of both round and square type. Timber connectors are used in building construction and are designed to connect timber to wall, wood to wood, wood to concrete and wood to steel. With precision metal stamping technology, many types and size can be manufactured. Wood connector is made from raw materials like stainless steel, carbon steel and alloy steel. Surface treatments include hot dip galvanization, zinc plating, chrome plating etc. is used. Fence post is made of steel with drainage channel which is either plastic protected, hot dip galvanized or powder coated. Max length of fence post can be installed with the help of a shovel. There are two types of fence posts, one for garden type and one for farm and residential usage. Light type fence posts go well with our metal garden product that can be installed very smoothly. Heavy type fence post is installed by angle post and gate post. Earth Anchors are of two types– screw in ground anchors, also named earth anchors and helix anchor which is widely used with ropes or wires, to fix timber into the soil. The other kind is the ground screw anchor with a multi-helix attached with a pipe shaft. The two soil screw anchors are used mainly to support light structures like sheds. 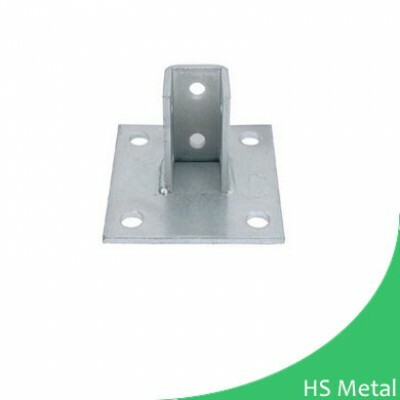 H Post Support is designed to hold post between two steel columns at one end and another end is set into concrete or ground. It is made of fine steel base, and is hot-dip galvanized to protect the post support from decay. Size and shape of the post support can be customized. Adjustable Post Support is designed to adjust size by width and height. Because of this feature, it has been widely used to adjust to the connecting parts. The surface treatments include hot dip galvanization, yellow zinc plating and powder-coating. Bolt Down Post Base is manufactured from mild steel and surface finishing is done by galvanization and powder coating. The post base is designed to hold the timber fence posts above the ground, protecting the base from damage. Nails and screws are used to secure timber post solidly and allows for easy removal if the post is damaged. It includes square form post base, round form post shoe, TT post base and other shapes as per client’s drawings. Post Support (L type, T type, U type) also called stirrup post anchor has the main aim to protect wooden post from decay. The different shaped post support is used as per the fixing place. The holes on the plates help to fix the post anchor easily and firmly with the floor. Customized shape and size can be manufactured according to the drawing.